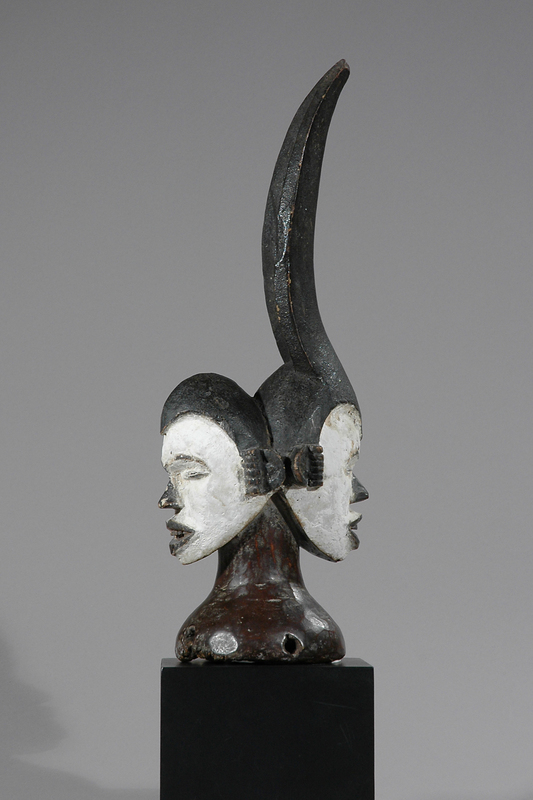 This beautiful headdress shaped like a ‘Janus Figure’ with two opposite faces comes from the Cross River Region Culture Idoma in Nigeria. 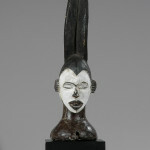 The term simulates ambivalent symbol of life and fertility and also of death and sacrifice. 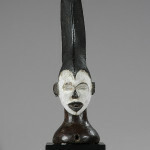 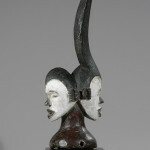 Janus or multi-headed headdresses like this are used during entertainment festivities and funerals by the Oglinye society of the Idoma people. 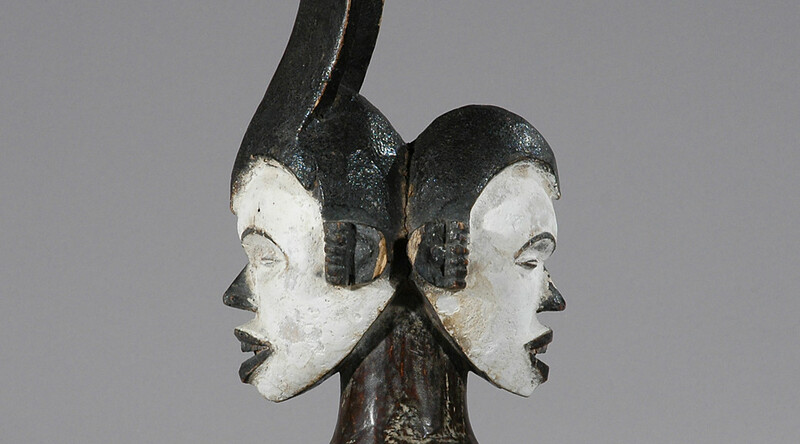 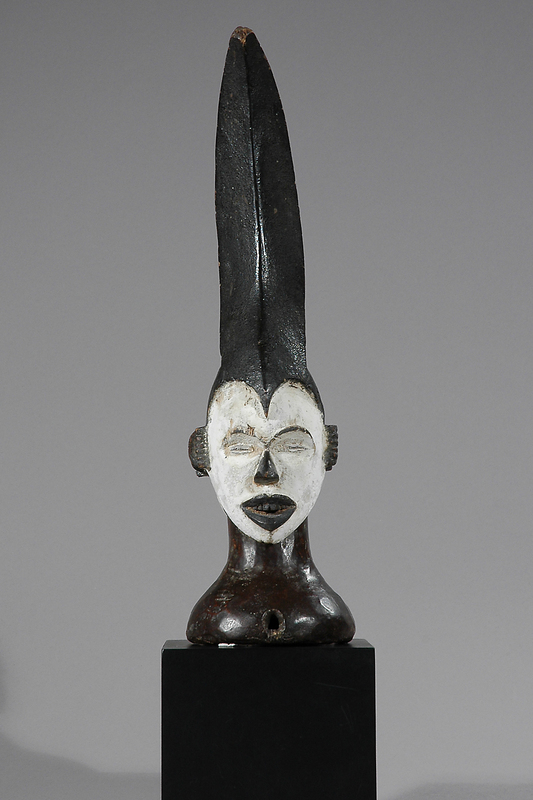 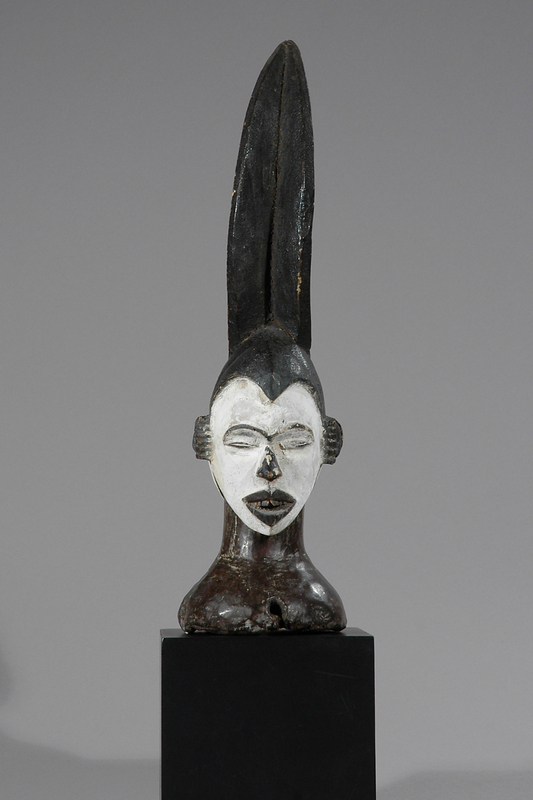 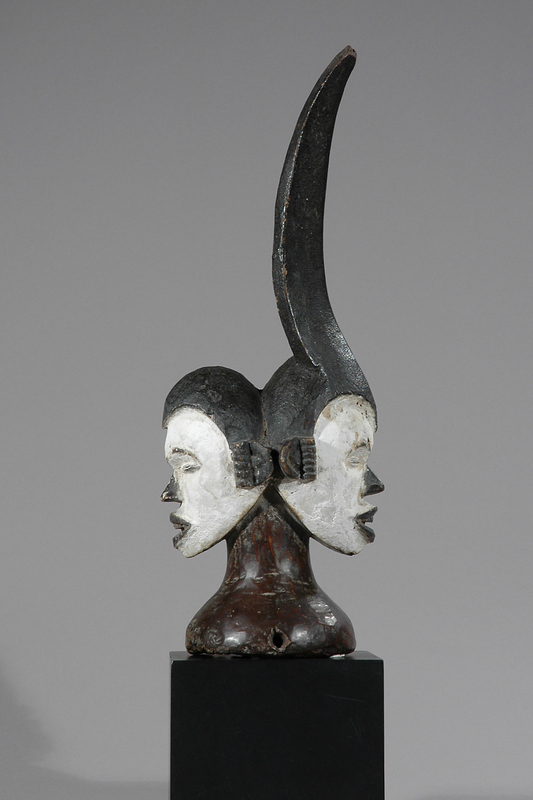 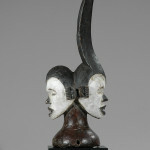 In Africa janus (two-faced) masks express male / female duality and the “two as one” idea.